The Fleet Management and Logistics Industry is one of the best indicators of the heartbeat of the economy of a country. 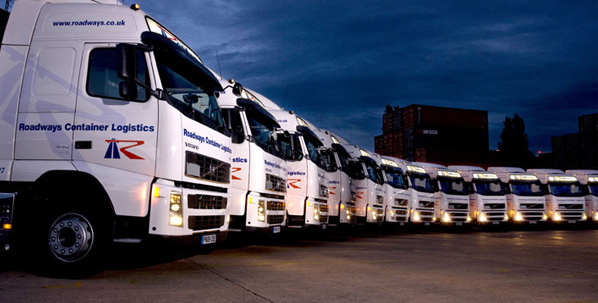 Fleet management is a term used to describe the management of any/all aspects relating to a company’s vehicle. Fleet vehicles are those vehicles over which a business has some degree of influence in their selection and operation. One of the components of transportation costs for any business is insurance. fleet insurance has is an essential part of a business and with attention to detail a company can both reduce insurance costs, enhance the safety of employees and still benefit from as much coverage as is required. In this section we would like to discuss how the effective management and fleet insurance of vehicles could also make a significant contribution towards Road Safety. Fleet insurance is the insurance of a group of cars, commercial vehicles, and trucks etc. that are insured under the cover of one policy. Fleet insurance manages the risk of all your business vehicles under this policy, and is designed to distribute the risk across the board so you do not pay more than once for each peril. It does not make financial sense to insure each of them individually under their own insurance policy and pay for each individual vehicle’s risk. Fleet insurance assesses the risk of the entire fleet, and evaluates the premiums based on the perils for the entire fleet instead of per vehicle, while catering for those risks specific to owning a high volume of vehicles. Fleet insurance is an important and effective part of managing the commercial fleet of a business. From truck insurance for small businesses to insurance for large fleets of vehicles, there are flexible commercial vehicle insurance options to meet the requirements of any company. Businesses require cover that is cost-effective and comprehensive, with an effective account management team to handle claims efficiently and without fuss. Fleet insurance is generally used by companies that use vehicles to travel for business purposes but can also benefit an individual that drives many vehicles.  Specialized needs of Vehicle Fleets: What are these specialized needs? It is important to recognize that fleet managers and logistics companies have unique needs and are confronted by some rather unique threats and risks as well! These businesses also have specialised insurance requirements. Whether the business requires commercial vehicle insurance for light or medium vehicles, or heavy duty truck insurance, it is important to consult with the right insurer to ensure that the business gets the optimum level of vehicle cover. Heavy commercial vehicle insurance requires that the insurer understands the operational demands of operating a number of heavy-duty trucks and commercial vehicles. Businesses operating in the transport industry, that deploy vehicles to an especially far-reaching and intensive degree, need an insurer that appreciates the unique risks faced by the transport industry, in order to receive truck insurance that meets the peculiar demands of extensively operating heavy vehicles. Fleet vehicle insurance must also take into account the complexities of insuring business vehicles, such as insuring cars for multiple drivers and making sure vehicles can be used for as many applications as necessary. Business vehicles, particularly heavy vehicles used in the transport industries, may travel extensive distances, often crossing borders into Africa. It may therefore be important that your truck insurance provider offers commercial vehicle insurance with expansive territorial limits, so that trucks and other fleet vehicles can cross borders as necessary without complication. As fleet insurance covers vehicles used for transporting goods, it often includes cover for cargo while in transit. This though depends on the insurer. Otherwise, stock insurance can be added to the business insurance portfolio, which covers cargo while in transit and in storage under the protection of the logistics company. Shuttle service companies and other transport services may consider taxi insurance combined with fleet insurance, as taxi insurance includes liability cover, which is important given the risk of personal injury and death when transporting people. Fleet insurance has become a very specialized field. The leading fleet Insurers determine the cost of fleet insurance premiums according to a variety of factors. The requirements for fleet insurance are generally different for every company but there are some basic factors that every company will take into consideration when deciding on fleet insurance eligibility. The main factors are the number of vehicles to be insured and what kind of vehicles those are. If the company is insuring a mixed combination of different types of vehicles the insurance and the cost will be different than a quote for five of the same type of vehicle. The age of the vehicles and the condition that they are in will also greatly affect the price of fleet insurance as is the estimated mileage that the vehicles incur. The process to determine the premium rates for fleets is usually referred to as fleet rating. Within the completion of fleet rating different skills processes will be used depending on the type of fleet. The size of the fleet as well as the claims history will be used-referred to as the claims experience basis. Other factors may also include vehicle telematics solutions and scientific data collected on driving behaviour. 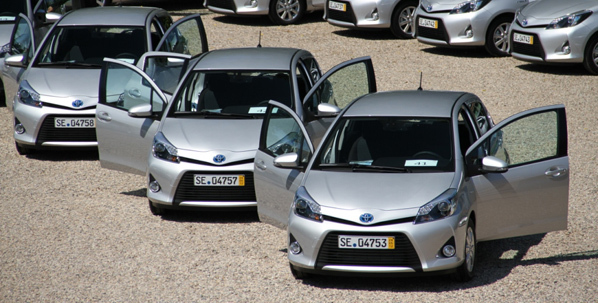 For small fleets the rating will largely depend on the book value of each car covered under the fleet but some adjustment for expense savings will be allowed. Larger fleets will mostly be rated through experience rating where the credibility will increase according to the size of the fleet. Fleet insurance differs from ordinary business car insurance by covering the vehicles across their ordinary route, which includes routes across international boundaries. This must be confirmed with your insurer, however, as the route influences the risk that the insurer covers. To qualify for fleet insurance, the vehicles must be owned by the same business (or person). The insurer usually requires a minimum number of vehicles in order for the insured to qualify for fleet insurance. It remains the duty of the fleet owner to keep the insurance company informed of any changes to the fleet. The largest benefit of fleet insurance is of course that many different vehicles are covered under one policy with a simplified process of claims administration. When a claim is made, the process is much smoother and more efficient than when handled through another type. This eliminates much of the worry and stress of handling a different insurance policy for each different vehicle. If the company has two cars used for business travel and three vans for a delivery business, compiling two car insurance policies and three van insurance policies would become a major hassle. Fleet insurance will simply cover all the vehicles and ensure that each vehicle is outlined in the policy. One other main benefit of fleet insurance is that drivers who may struggles to become insured under an individual policy, may have coverage provided to them using a fleet insurance policy. This will not only provide them with a way to obtain coverage but can also add to their past history should they wish to choose individual insurance at a later time. Companies that provide fleet insurance will still take into account the driver's past history and experience and determine a final quote accordingly however, the policy is still much cheaper than purchasing individual insurance. Even though the advances in insurance telematics in the passenger vehicle market is relatively new, fleet managers and logistics companies have benefitted from vehicle telematics for a number of years now. One of the major benefits is however the ability to provide accurate driving data to the insurance company and to do driver ratings and risk profiling. Scientific measurement of driving behaviour not only relates to safer driving, but also reduces accident and insurance risks. With these products the driving behaviour of drivers of a fleet are monitored directly while they drive and this information can be transmitted to the business, fleet manager and insurance company. The insurance company is able to accurately assess the risks presented by those drivers of having accidents and to charge insurance premiums accordingly. The tracking technology can further reduce fleet insurance premiums by reducing the risks of vehicle theft and hijacking. The usage of state of the art vehicle telematics by fleet managers should enable these managers to gain more affordable fleet insurance premiums. What should business owners look for in fleet insurance? It is important that an effective consultation process and full disclosure of all material facts lead to the insurance agreement. It may be advisable to gain other third party confirmation of the ability and experience of the fleet insurance company. The fleet insurance industry is highly competitive and it is important to make well informed decisions. Availability of emergency roadside assistance - 24 hours a day, 7 days a week. Cover for reasonable storage costs or towing to the nearest repairer. Who are the approved repairers that the insurer deals with? Cover for the costs incurred for the removal of the wreckage as well as costs for replacing locks, keys, remote controls or the reprogramming of vehicle security systems. Legal liability insurance cover for causing damage to the property of other parties as a result of a vehicle accident. Road Safety is the ultimate beneficiary as fleet managers and logistic companies strive for affordable commercial vehicle fleet insurance. Affordable fleet insurance depends on safer driving behaviour and the ability to accurately measure such driving. 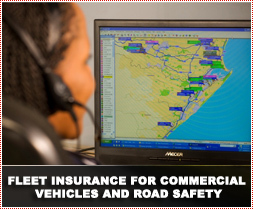 fleet insurance will reward safer driving and this will assist in reducing accidents and improving road safety!